“29 And he spake to them a parable; Behold the fig tree, and all the trees; 30 When they now shoot forth, ye see and know of your own selves that summer is now nigh at hand. 31 So likewise ye, when ye see these things come to pass, know ye that the kingdom of God is nigh at hand. 32 Verily I say unto you, This generation shall not pass away, till all be fulfilled” (Luke 21:29-32). Here, the text adds an additional note of clarification. Not only are we to watch the “fig tree” (national Israel), but we are to watch other trees, as well. If Israel is represented by the fig tree, the other trees would be the nations that rise up at roughly the same time Israel became a nation. “1 Give ear, O my people, to my law: incline your ears to the words of my mouth. 2 I will open my mouth in a parable: I will utter dark sayings of old: 3 Which we have heard and known, and our fathers have told us. 4 We will not hide them from their children, shewing to the generation to come the praises of the LORD, and his strength, and his wonderful works that he hath done. 5 For he established a testimony in Jacob, and appointed a law in Israel, which he commanded our fathers, that they should make them known to their children: 6 That the generation to come might know them, even the children which should be born; who should arise and declare them to their children: 7 That they might set their hope in God, and not forget the works of God, but keep his commandments: 8 And might not be as their fathers, a stubborn and rebellious generation; a generation that set not their heart aright, and whose spirit was not stedfast with God. (Psa. 78:1-8). In the verses above, we have highlighted two occurrences of the phrase, “the generation to come.” In Hebrew, these two phrases are identical. They are again translated from l’dor acharon. 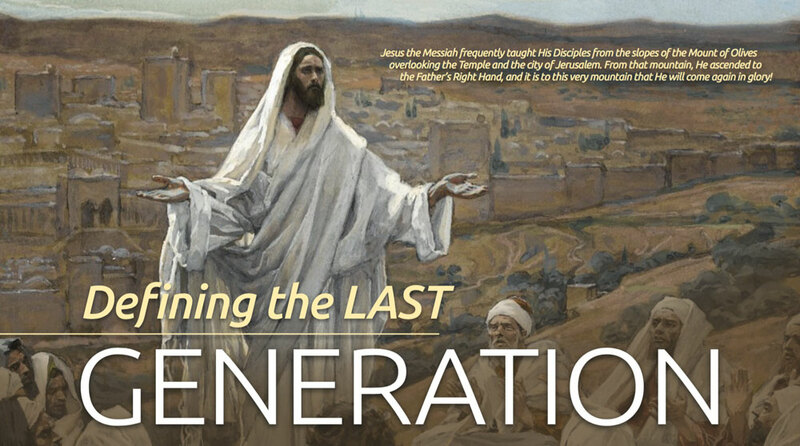 We have identified this phrase, as referring to “the last generation.” Note that the Lord is making an impassioned appeal to this last generation. He asks them to listen and understand the ancient words of Scripture. There, they will find “dark sayings.” That is, they are to search the Scriptures for the hidden, inner meanings that will illuminate God’s plan for them. Chiefly, these would be Messianic prophecies, which have been hidden to Israel for many generations.